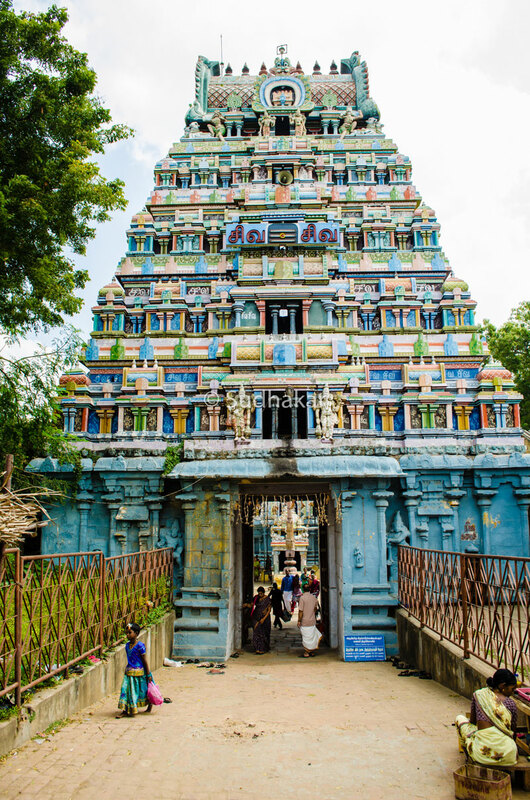 Brahma Sira Kandeeswarar Temple in Thirukkandiyur is dedicated to Lord Shiva near Tiruvaiyaru, Tamil Nadu. The temple is praised by Tirugnana Sambandar and is one of the Paadal Petra Sthalams.Goddess Saraswathi graces with her Lord Brahmma, hence the temple has a special significance for the devotees. The legend behind the temple is that Paramewaran (Shiva) plucked the fifth head of Brahma and hence was cursed with Brhamahathi dosham. The skull of Brahma was stuck in his hand and could not get rid of it. As per his curse ,unless he filled the skull with rice by way of alms, he will not be able to get rid of the skull. He went around asking for 'bikshai' ( begging for food) and it never got filled. He approached Lord Vishnu and Mahalakshmi filled the kabalam (skull) with rice and got filled. As he went around asking for bikshai, He is also called as 'Pikshandavar'.However, the skull stuck to his hand did not fall off. Lord Narayana asked him to go to ThiruKandiyur to completely get rid of the curse. Hence Shiva went to Thiru Kandiyur to Kamala pushkarani and took a bath and got rid of the saabham (curse).After that this pushkarani came to be known as Kabala theertham. 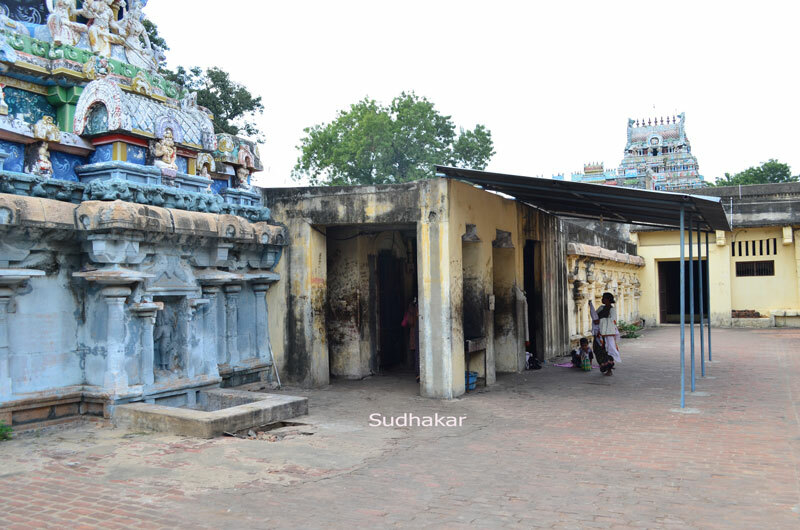 Parameswaran then built a temple for Lord Narayana closeby and also built a temple for Himself at this place.Brahma was also housed in a separate temple closeby, but according to history ,the temple got dilapidated and in course of time and the idols of Brahma and Saraswati were moved here to the Siva Temple. The idols of Brahman and Saraswathi are outside of the sanctum of the Lord. The Brahman is seen in a seated position with folded hands in prayer holding flower and rudraksha mala. There are sannithis for Vinayagar, Subrahmanya with Valli-Deivanai, Mahalakshmi, Nataraja, Vishnu-Durgai, Bhairavar, and Ardhanaareeswarar in a sitting posture. The Moolavar of this sthalam is Brahma Sirakanteeswarar. The Ambal in this sthalam is Mangalambikai is seen in a standing posture facing south with four arms and with ‘abhayavaratham’. How to reach?It is situated west of Tanjore towards Tiruvayaru. There are buses from Tanjore, Trichy, Kumbakonam that goes via Thirukandiyur. Tanjore or Kumbakonam is easily accesible by road. From Tanjore it is at 10 kms towards Tiruvayaru,( another must visit place). Where to Eat?There are no big restaurants here. You can reach Tanjore town or Kumbakonam for lunch / dinner. 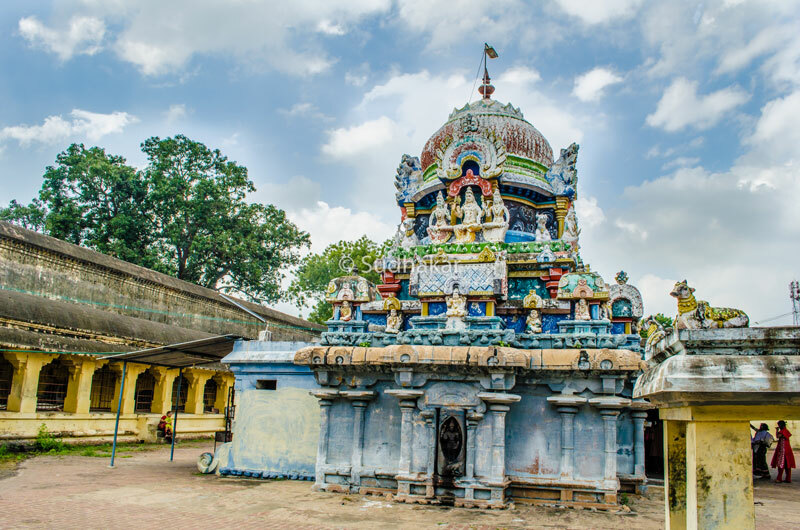 Other importanat places around this temple Hara Sabha Vimochana Perumal temple is a famous temple known is one of the 108 divya sthalms is closeby and also Aiyarappar temple at Tiruvaiyaru. Contact Shri Shirakandeeswrar Temple, Kandiyur, Thanjavur district.